I hope you guys are prepared to add another polish to your ever growing wish lists? Because I have a feeling that this polish is about to be added to it. Today I have Emily de Molly's latest polish for the Polish Pick Up to share with you. In true Emily de Molly style, this polish is gorgeous! A Piece Of You is a blue/purple holo with gold shimmer and silver micro glitters. This one can lean more blue or more purple depending on your lighting. I love the colour of this one! It's really one that is better in person as the shimmer in it is a little camera shy. The formula is fantastic and is opaque in two coats. Is it too early in the month to be discussing favourites? This is definitely going to make it to my favourites list at the end of the month. 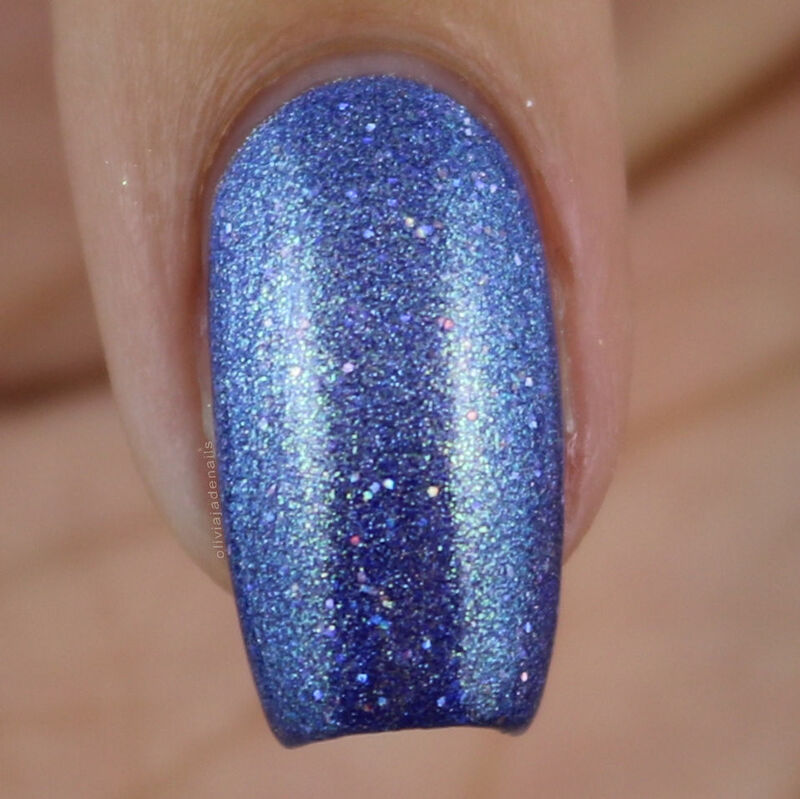 A Piece Of You will be will be available via the Polish Pick Up from Friday 4th May at 11am EST until Monday 7th May.